This statistic presents the most common malicious or trolling online behavior among online adults in the United States as of August 2017. 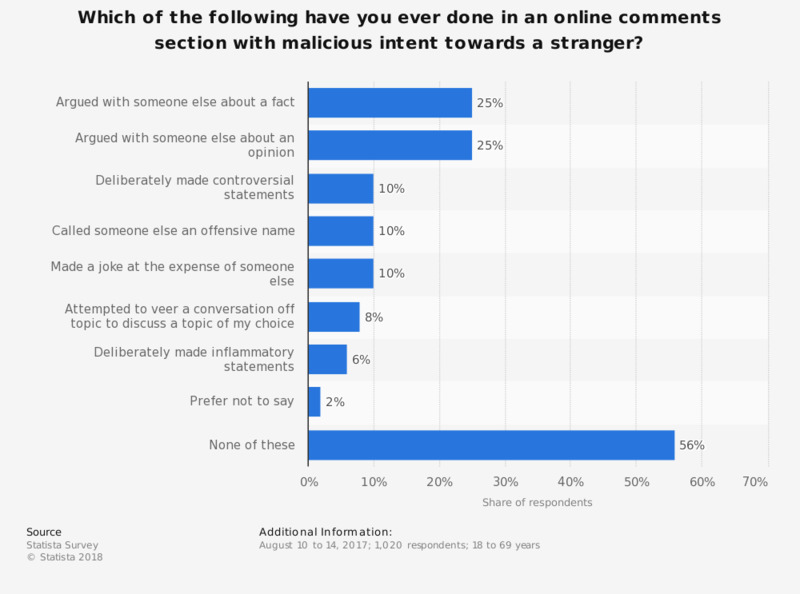 During the survey period, 25 percent of respondents admitted that they had argued with someone else about a fact online. Original question: "Which of the following have you ever done in an online comments section with malicious intent towards a stranger? ".